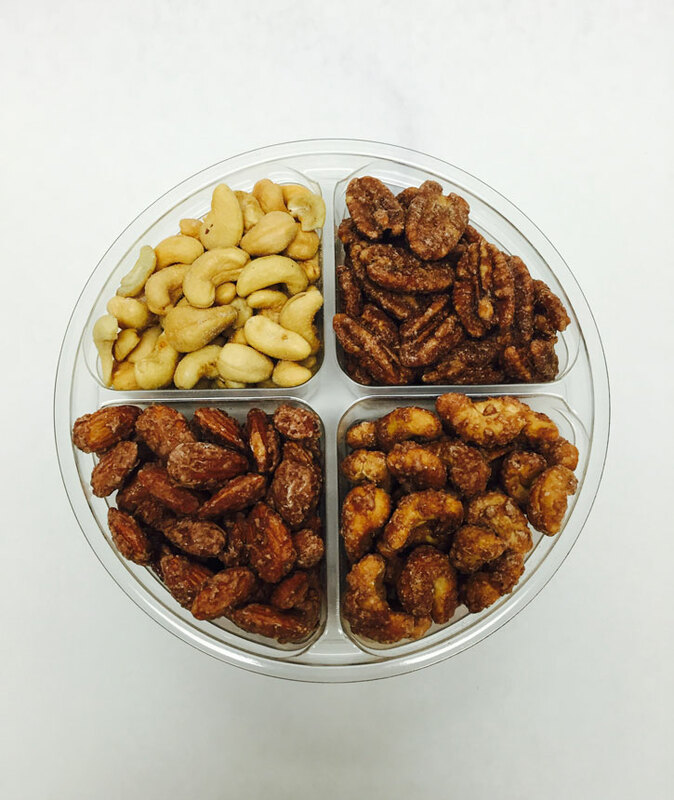 Our 4 compartment is the perfect gift for any occasion, especially for client gifts! 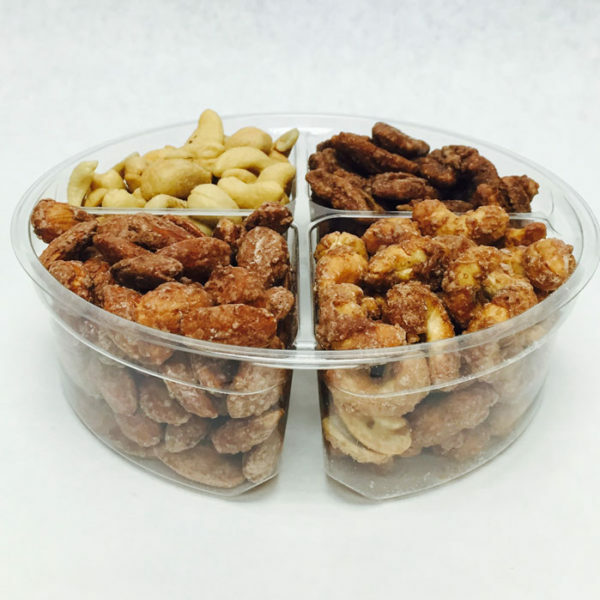 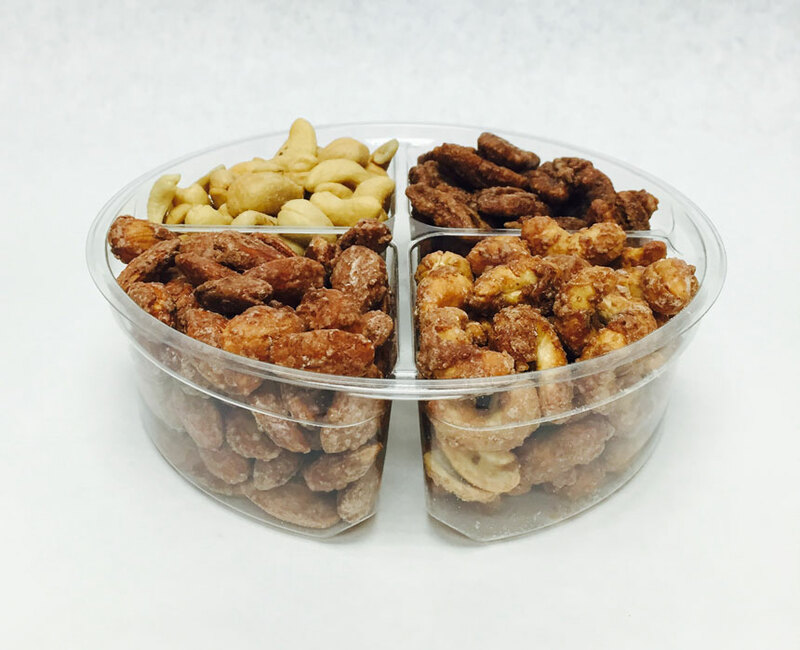 It contains 1 lb of our perfectly roasted almonds, pecans and cashews. 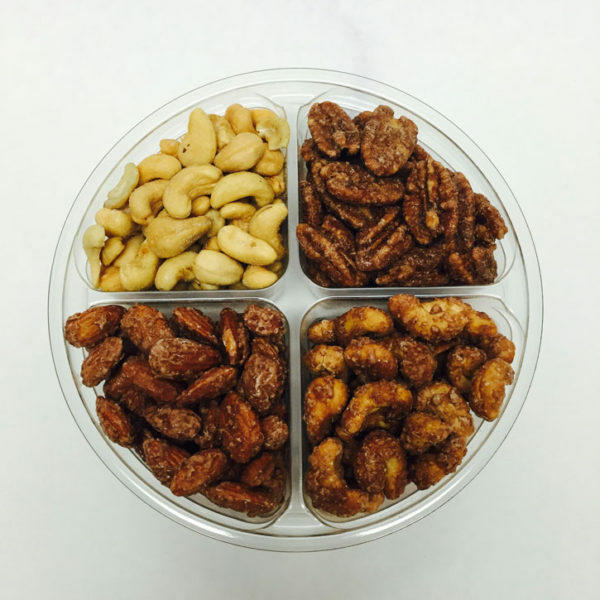 Our Heavenly Roasted Nuts contain a cinnamon, sugar and vanilla coating.